iSkysoft iMedia Converter Deluxe 1.0.2.3, you can easily convert videos at 90X Faster Speed. It has rich video editing features such as Trim, Crop, Rotate, Watermark, Subtitle, and Volume, etc. and you can also convert online videos as well. It can also act as an all-in-one DVD tool to help convert home DVD, copy and backup DVD, edit DVD files, burn videos to DVD etc. iSkysoft iMedia Converter Deluxe 1.0.2.3 is the ultimate video converter for Windows10/8/7/XP/Vista users to help convert videos to MP4, FLV, AVI, MOV, MP3, M4V and other 150+ formats whenever you want. This deluxe version of Windows video converter supports to convert any video or audio format, including MP4, MKV, WMV, MTS, M4V (DRM supported), MOV, MP3, etc. And it continues to add new supported video formats along with each upgrade. This ultimate video converter for Windows also converts 4K/HD video such as HD 1080P and HD 720P with quality maintained. Download Now! Apart from loading video files or video file folders to be converted from your Windows hard drive, to add video files directly from your mobile devices even camcorder is also available with USB cable connected only. No need to waste time in transferring video files to your Windows first and then load again to the video converter. iSkysoft iMedia Converter Deluxe 1.0.2.3 for PC supports 150+ output format. You could also opt for the output video resolution under each format. Apart from these standard video format, this Windows video converter also facilitates you to directly convert to Facebook, YouTube or Vimeo supported format. In addition, this video converter offers a variety of presets for devices output, from which you could easily figure out the resolution for your device. You can choose your own way to convert videos according to your need. This video converter offers you 2 ways to convert videos: batch convert all videos in one click or convert each video clip one by one. 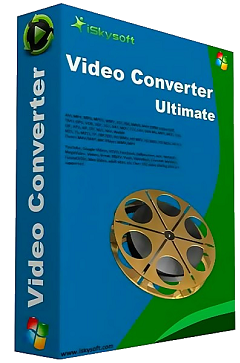 Besides, you could merge and convert all video clips into one integrated video using this ultimate video converter. One thing the deluxe video converter for Desktop is known for is the plethora of formats it supports. This is no normal tool featuring just standards formats given that the advanced formats are also part of the mix. In fact, you can go far as converting directly from Facebook, YouTube or Vimeo. You can even pick a tailored resolution for your output out of a list of presets inculcated into the tool. As an ultimate leading video converter, iSkysoft iMedia Converter Deluxe for Windows equips with Lossless Conversion algorithms which not only assures quality video outputs but also accelerates conversion speed. Want to convert videos from YouTube, Vimeo, Facebook, VEVO or other 1,000+ popular video streaming websites? Just try this video converter ultimate for Windows 10/8/7/XP/Vista. It comes with two ways to download or record online videos, then you can convert the downloaded videos to any format you desire. iSkysoft iMedia Converter Deluxe for PC provides with a built-in video editor, which allows you to trim, crop and rotate your videos before converting them. At the same time, you can also add subtitles, watermarks, metadata info and special effects to the videos as you want. Transfer videos to iPhone, iPad, Android devices, etc. iSkysoft iMedia Converter Deluxe is an all-in-one windows video converter crafted to make it smooth for you to transfer converted video or audio files to mobile devices. This can be done via USB to any type of phone be it iPhone 8/X, iPad, iPod, Samsung and other Android phones. iSkysoft iMedia Converter Deluxe for Windows also lets you burn media files to DVD disc (including Blu-ray disc) plus you can backup your DVD or convert DVD file to any format for personal use. How To Install iSkysoft iMedia Converter Deluxe 1.0.2.3? Download iSkysoft iMedia Converter Deluxe 1.0.2.3 from below. iSkysoft iMedia Converter Deluxe 1.0.2.3 Crack Link is Given Below!